Good morning and happy Tuesday friends. 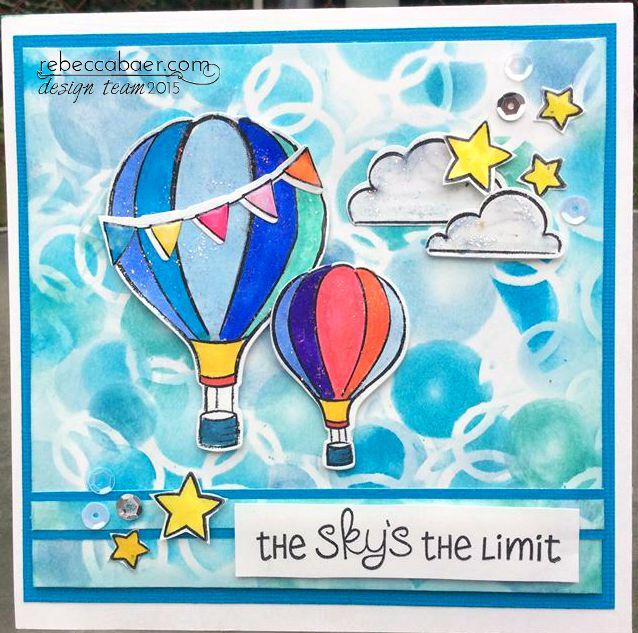 Today I am sharing a fun DT project for Rebecca Baer. 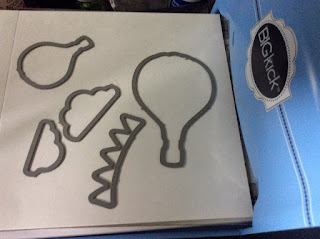 I was eyeing my stencils I had from Rebecca and was thinking what other ways I could use them. 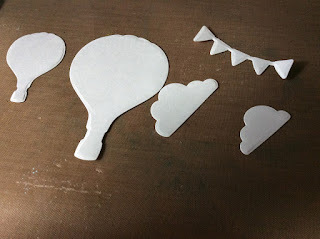 I like to get lots of mileage out of my crafty tools and I think this technique will allow you to look at your stencils in a completely different light. 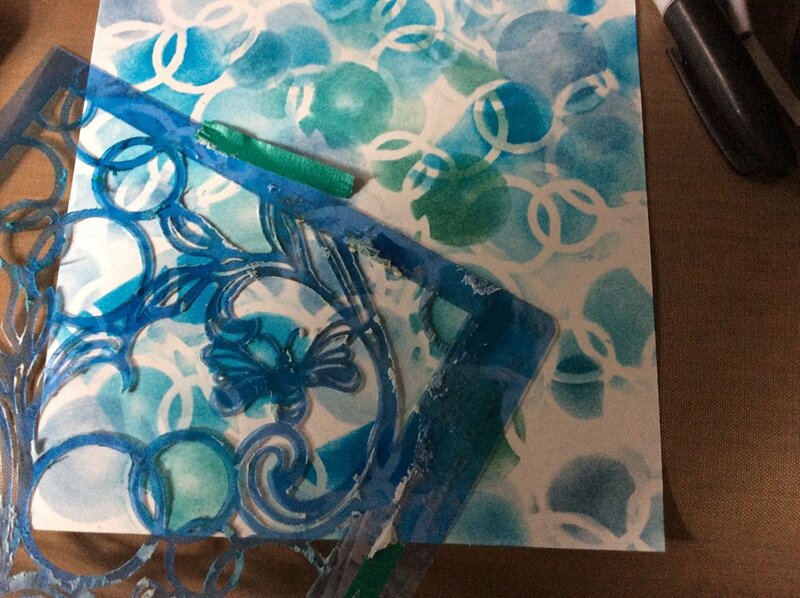 I started off with the Flights of Fancy stencil. 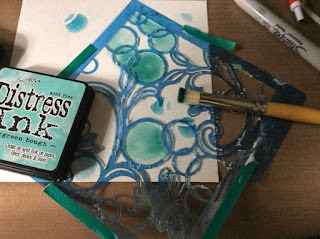 I wanted to create a fun and whimsical sky look and I thought that just using a portion of the stencil in a repeating pattern would be good for this. 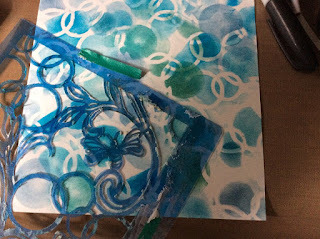 I used the circle images on the stencil with different colours of Distress Inks, moving the stencil over and over on the cardstock. 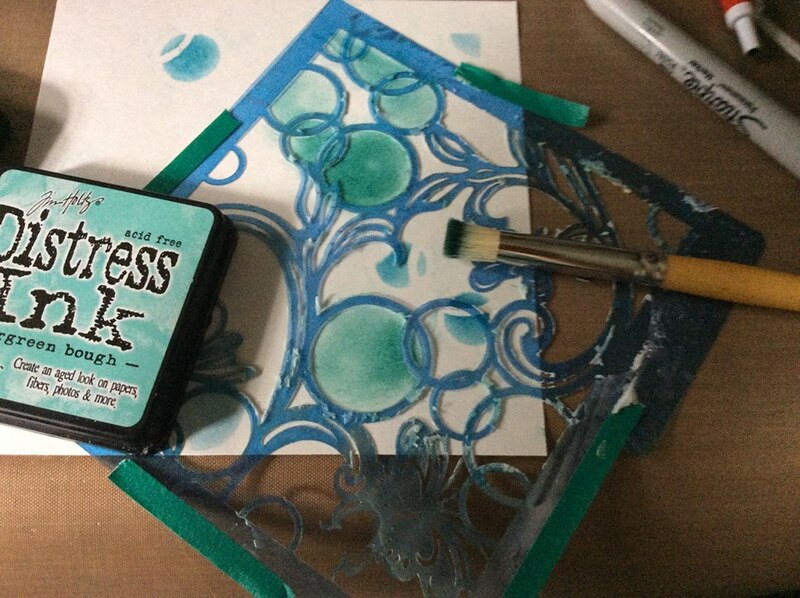 I used the RB Mini Masking Tape to hold down the stencil, this is great tape, and allows you to move the stencil easily over the page while retaining its sticky-ness! I also used the RB Artiste Stenciller Brush to add the ink, I really love these brushes they flow smoothly on the cardstock and don't seep under the stencil. I used three different shades of blues in the Distress Inks and continued to move the stencil over the page, overlapping the circles and also leaving some negative white space in the background. 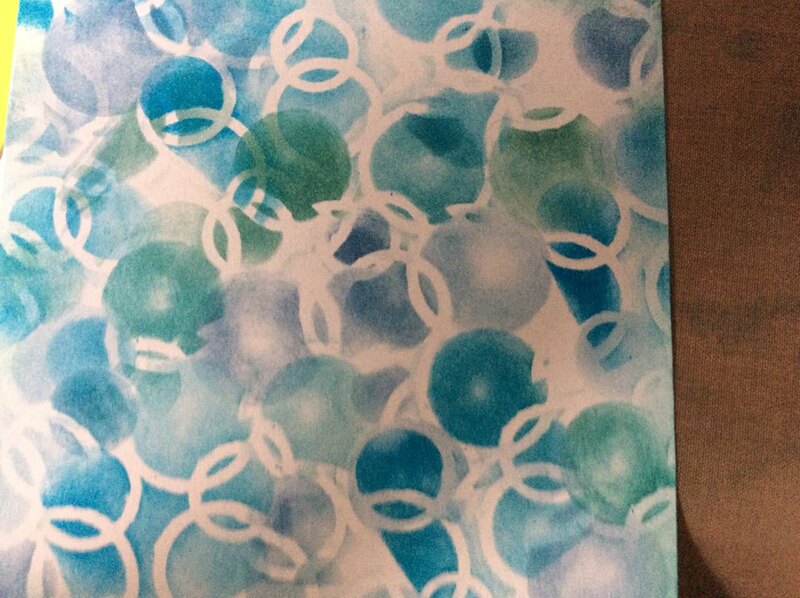 Here is a look at the finished background. I also think this stencil would be good for creating a chain look as well....so that might be on the agenda for another project coming up soon! Now its time to add some fun die cuts. I am using a hot air balloon theme on here I thought it would go great with the background. This die set also comes with a matching stamp set, so once the dies were cut I could stamp the image on top and then just colour them in. 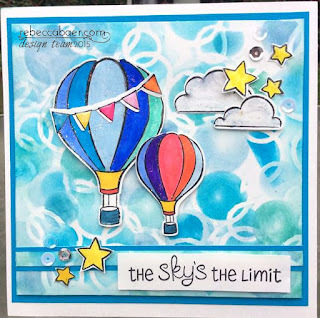 I added some glitter to the clouds and banner on the hot air balloon and popped up some of the stars to add dimension. I also added a few fun sequins for sparkle. I matted the 6 x 6 card with some coordinating cardstock, added my sentiment and now it's ready to send to a friend. I love that I was able to completely create a different background with a stencil I have used often, this really made me look at all my stencils in a new light! Thanks for stopping by today and don't forget to check out Rebecca's Store and the DT Blog for lots of fun and exciting info!